IBM yesterday made headlines when it unveiled the world's smallest movie. So small in fact that if you make the two-minutes short into a full-length film, the width of the thing would still be smaller than the width of the tip of a human hair. How is this possible you may ask? The movie is in fact made of atoms. 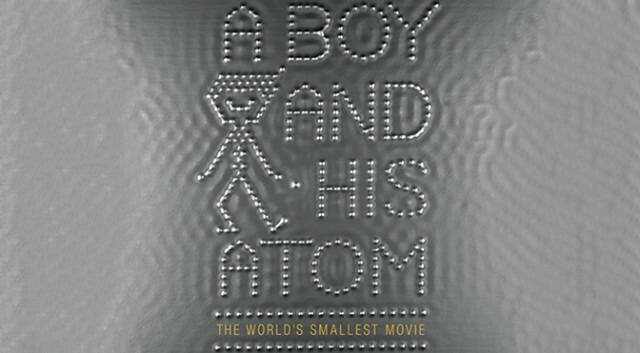 Ingeniously named, "A Boy and His Atom", the film used thousands of atoms to create 242 frames of film. The story is rather simple as well starring a character named Atom who plays with an actual atom (while dancing, playing catch and jumping). While we do doubt that this means that we will get atomized films in the future, the concept helps IBM advance their research on storage - one crucial thing that we do need as films go digital and go higher def. Catcth the actual film and the making of after the break.